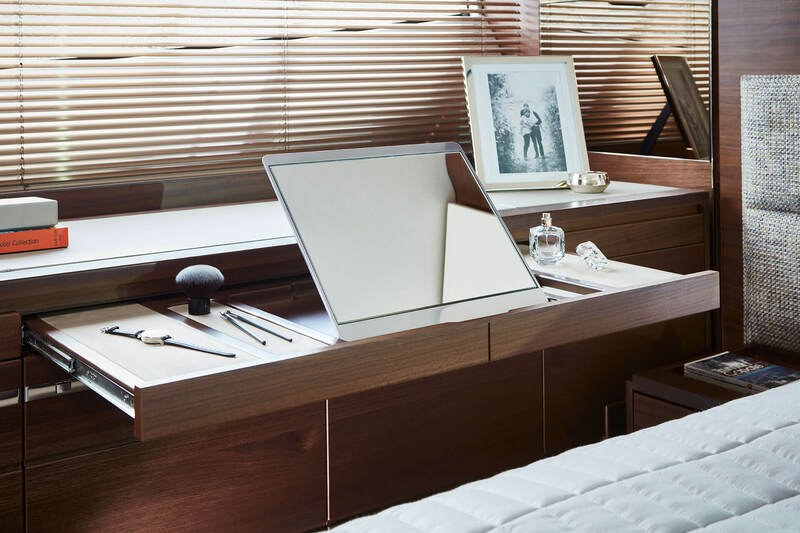 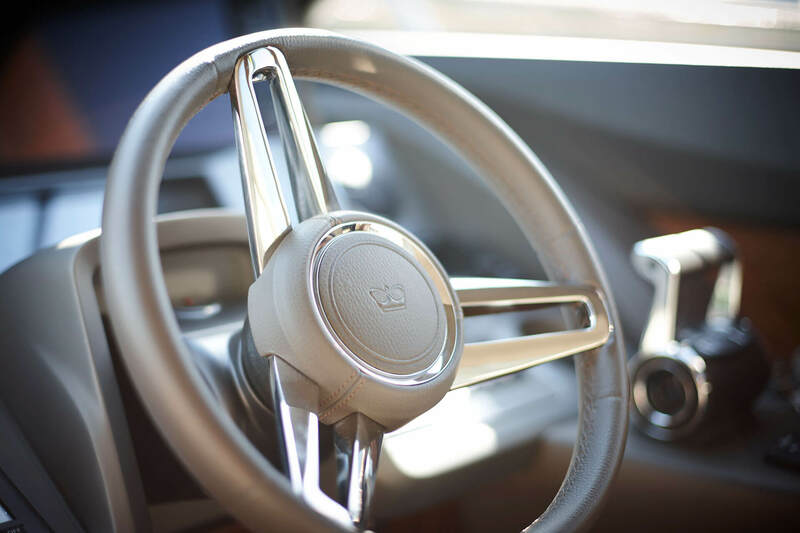 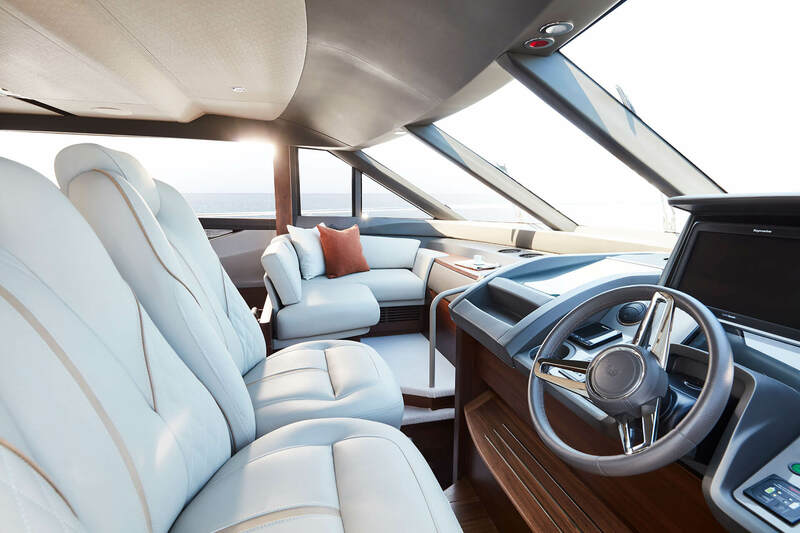 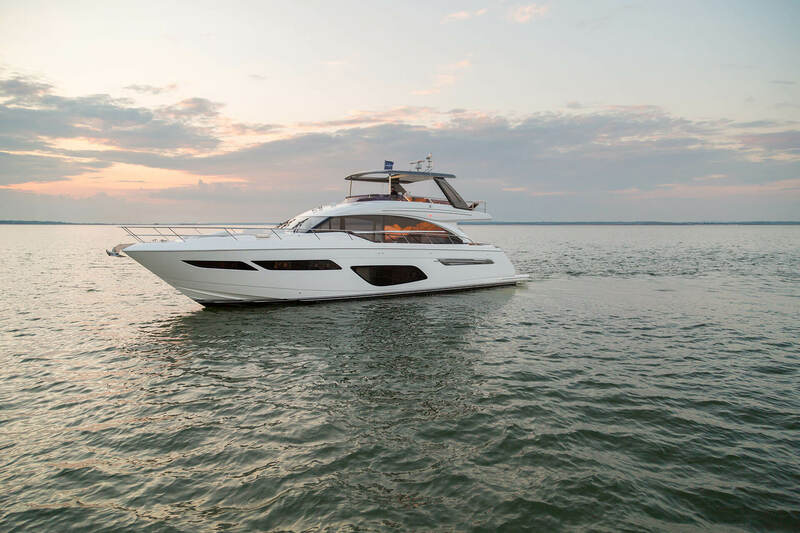 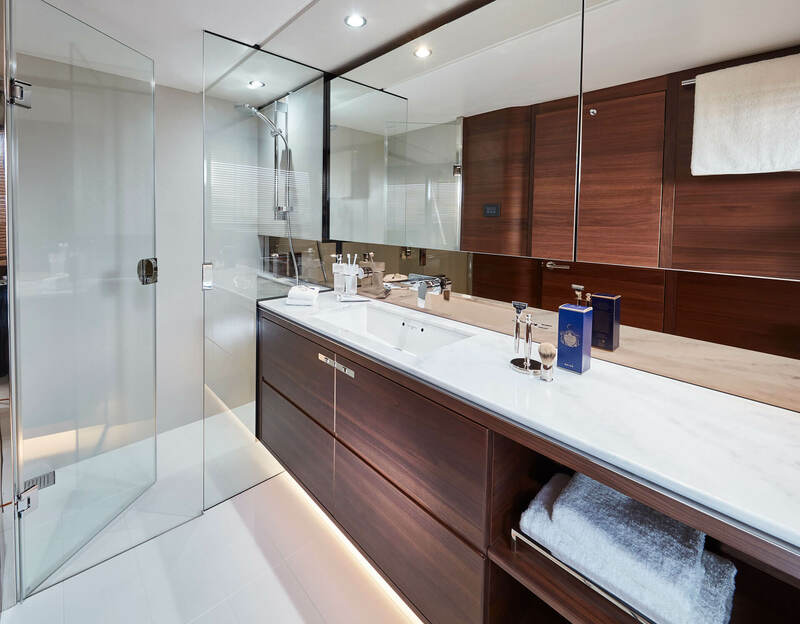 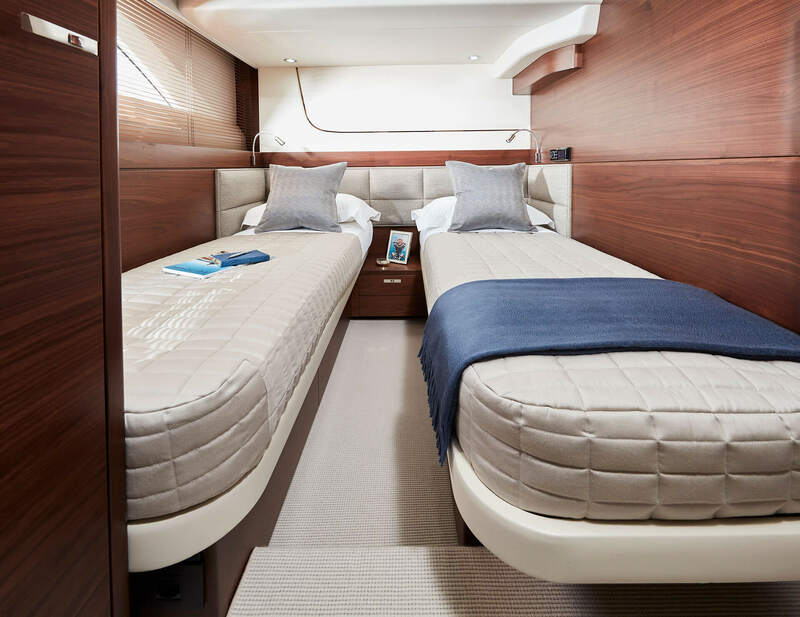 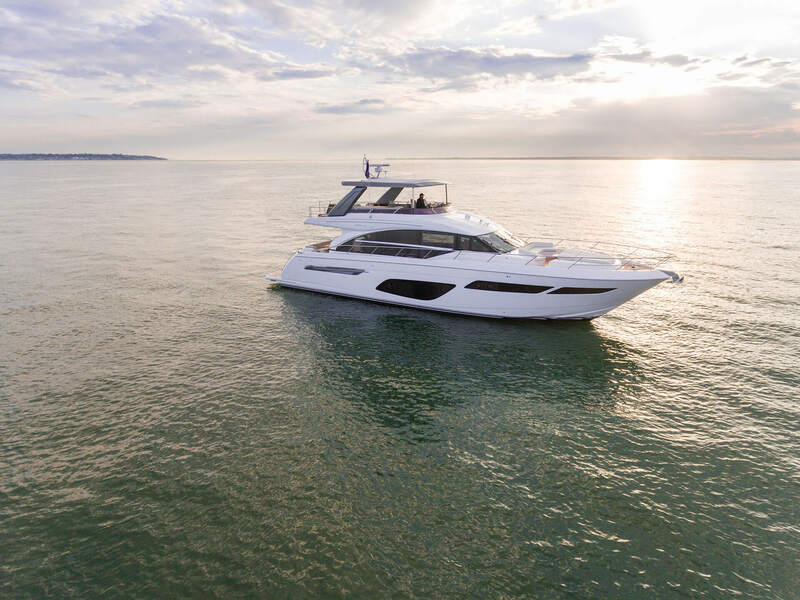 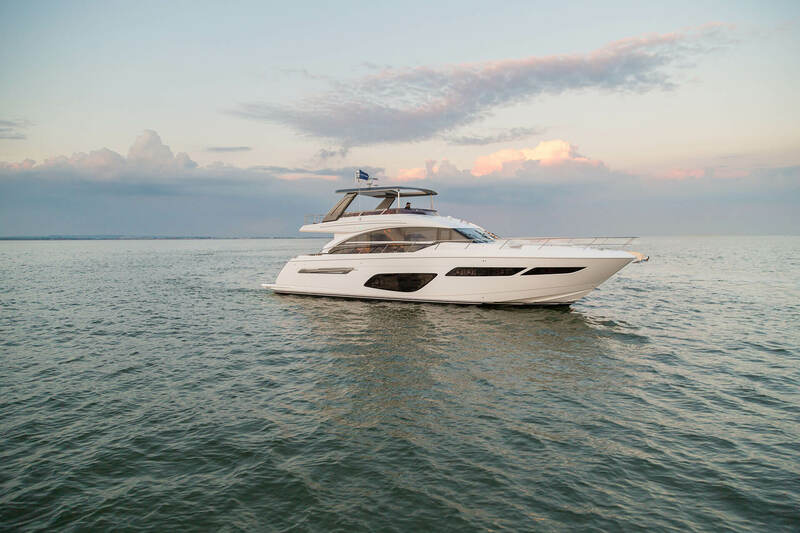 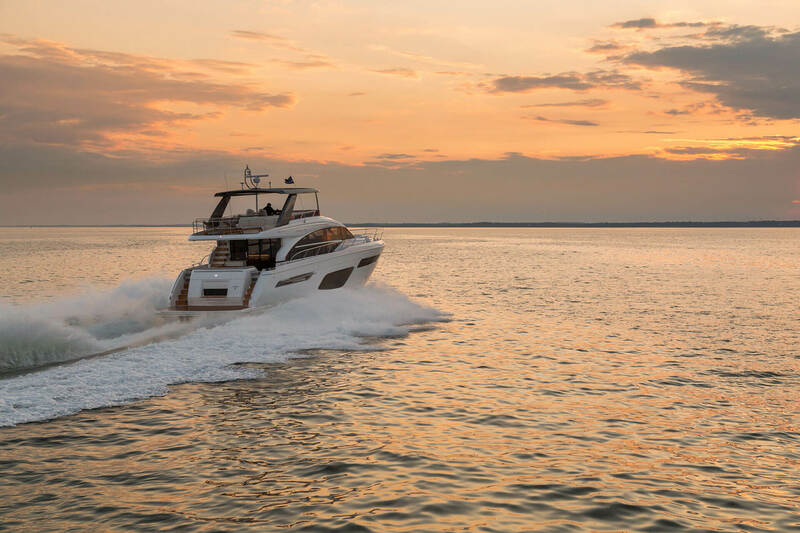 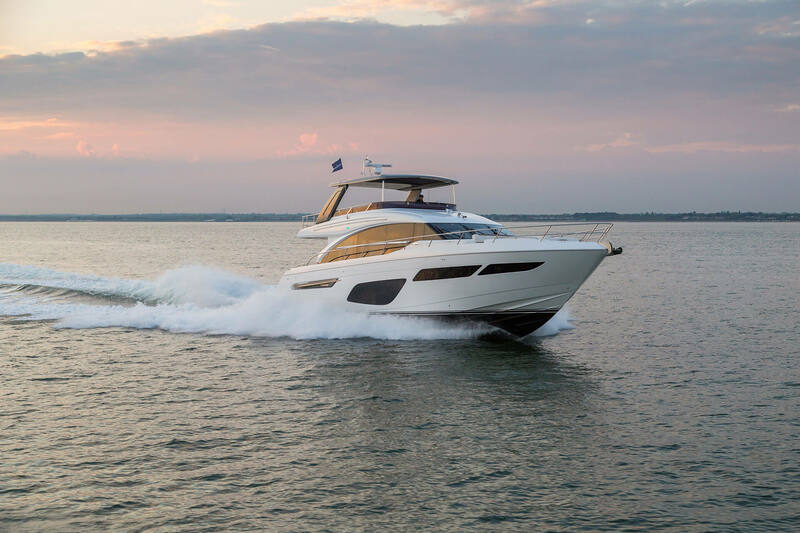 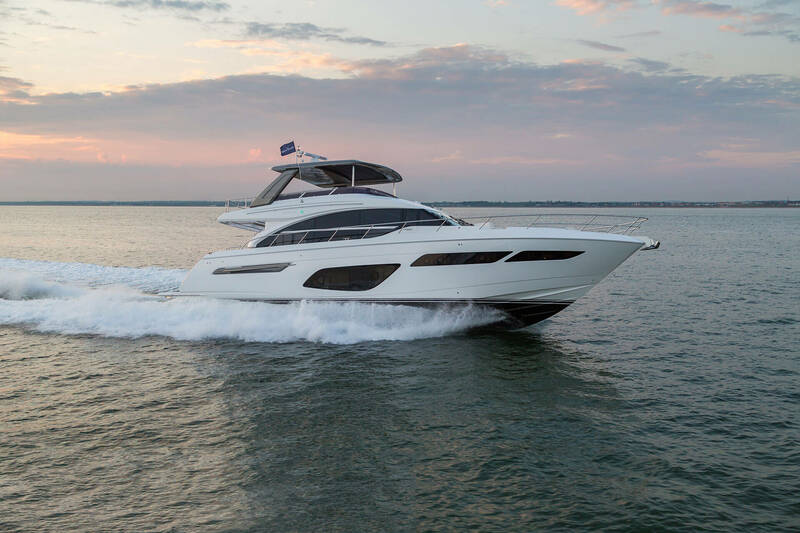 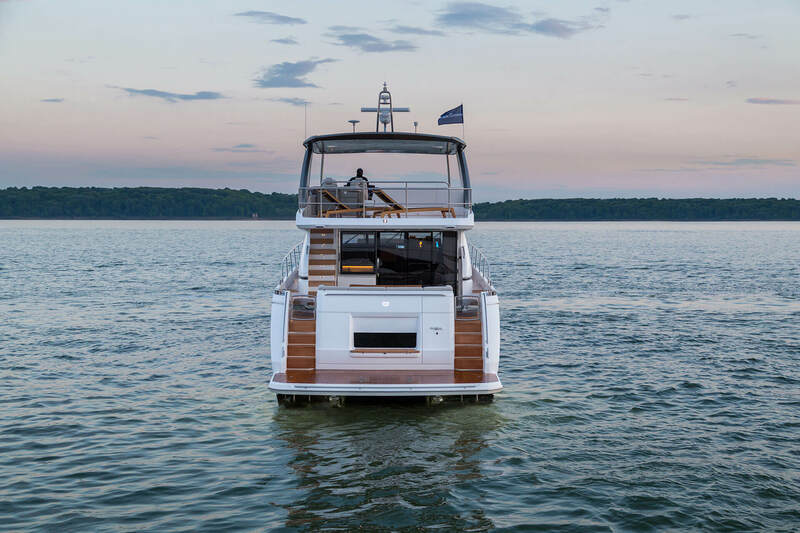 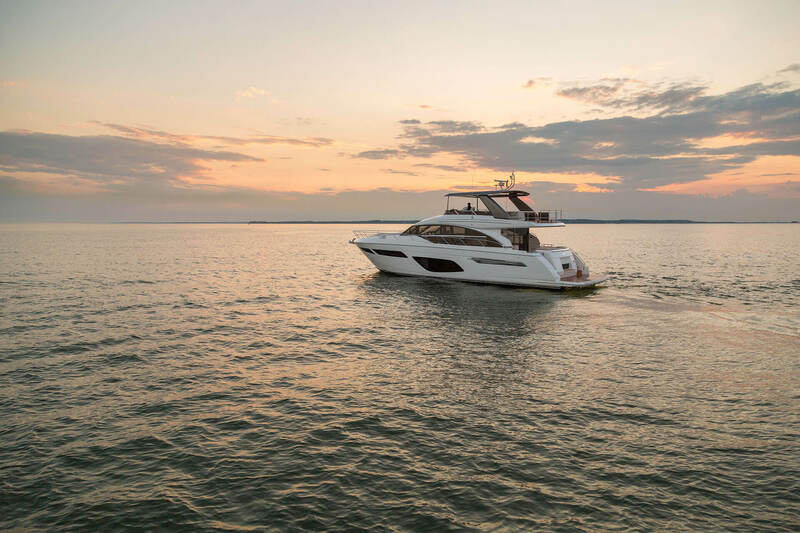 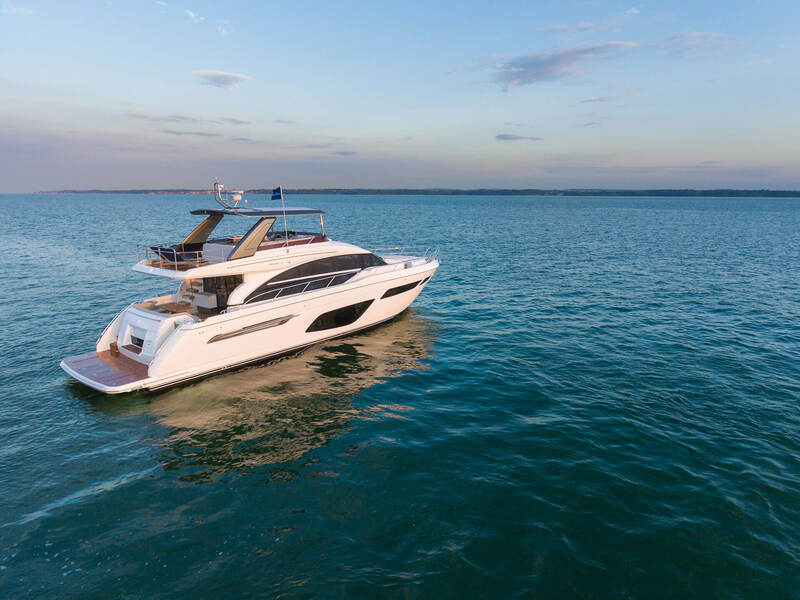 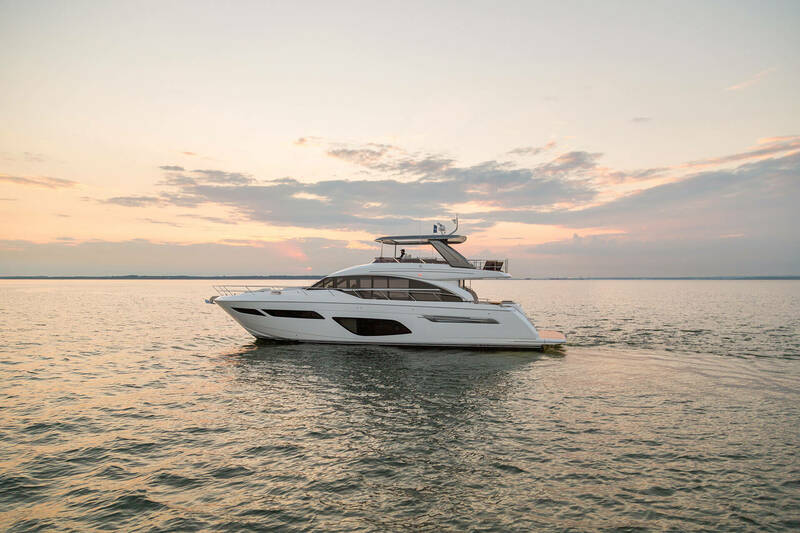 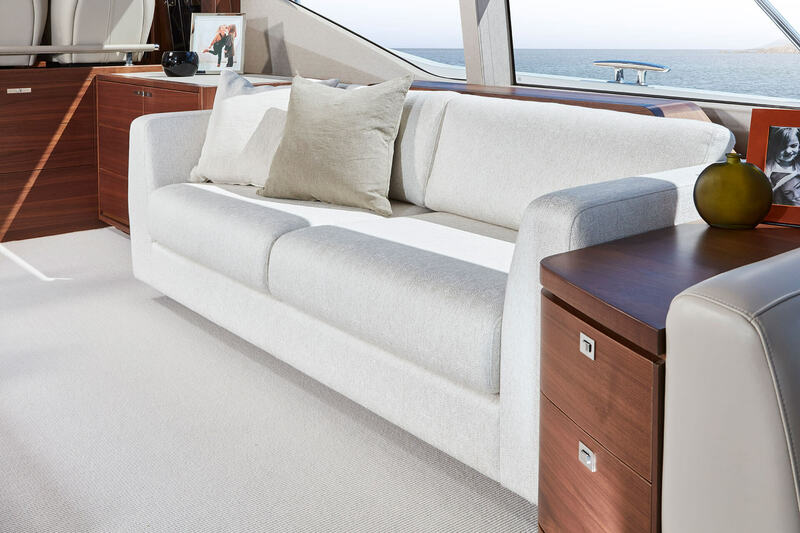 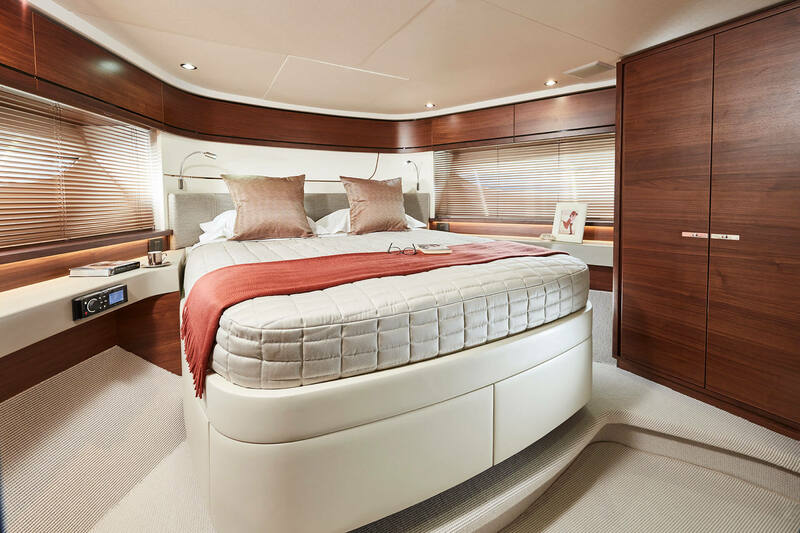 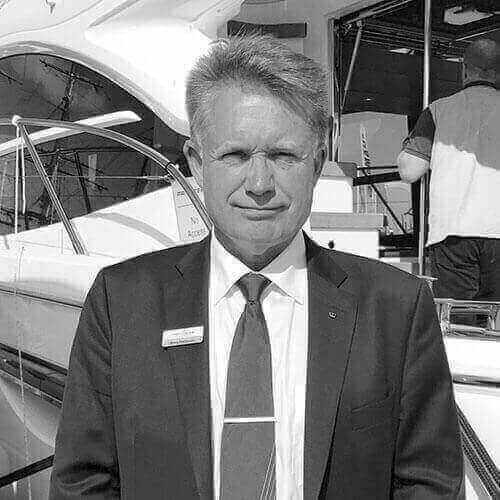 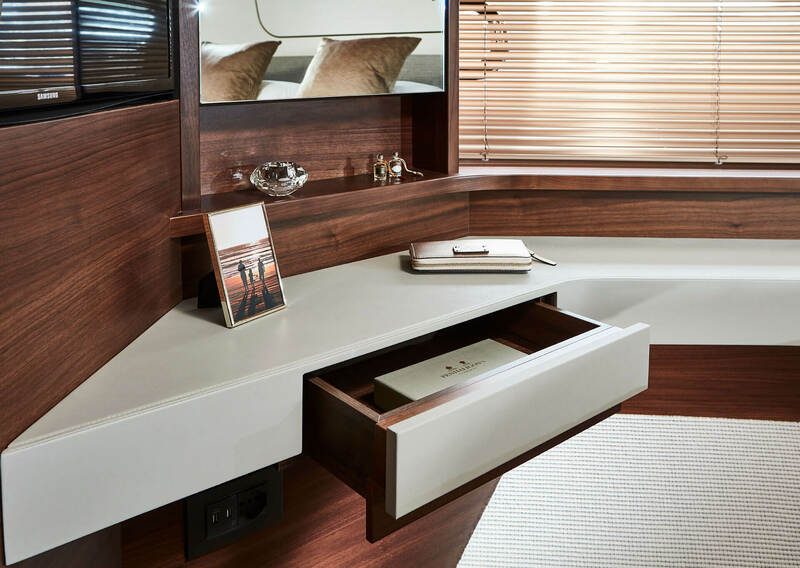 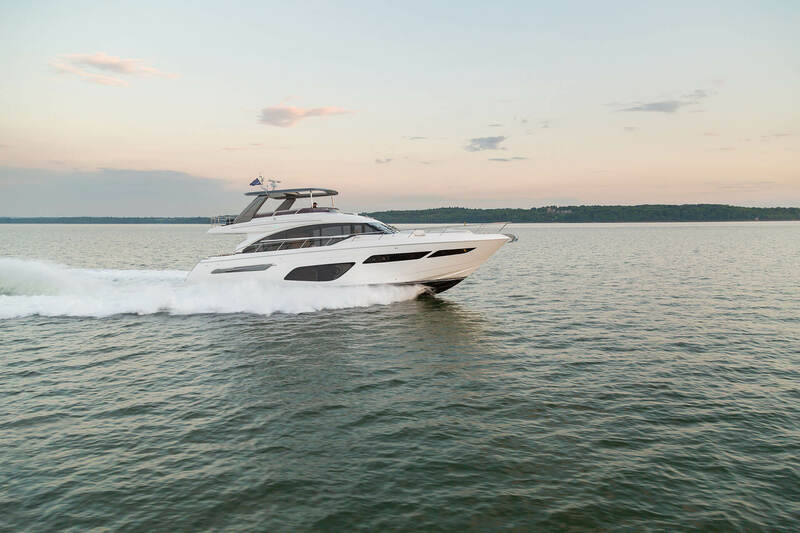 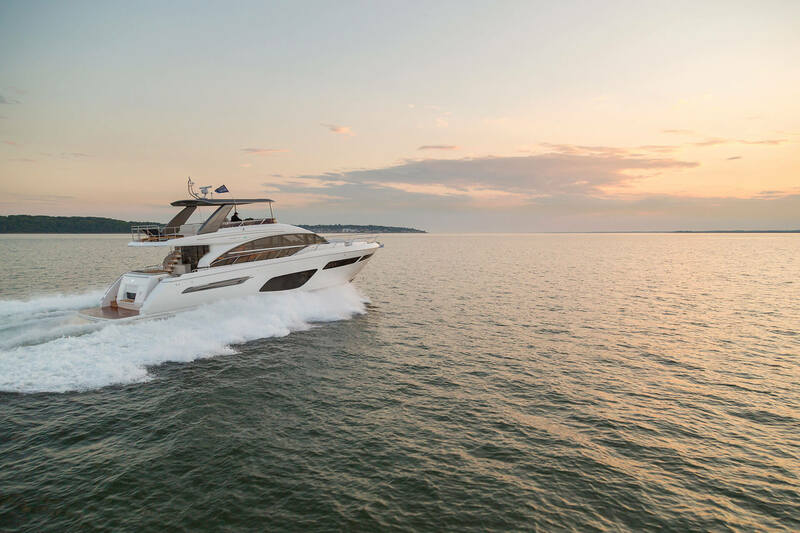 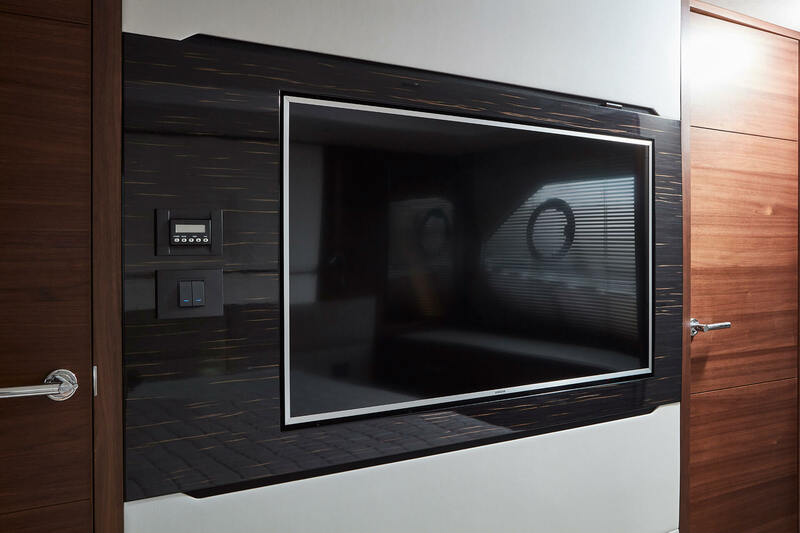 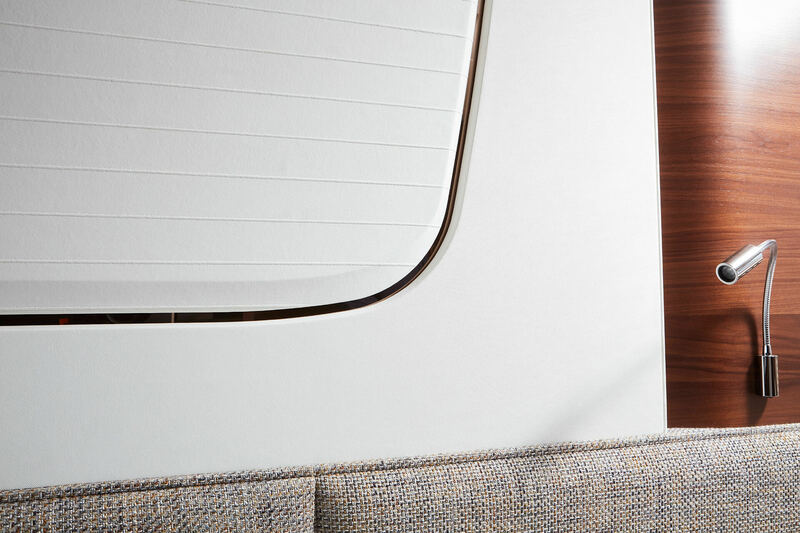 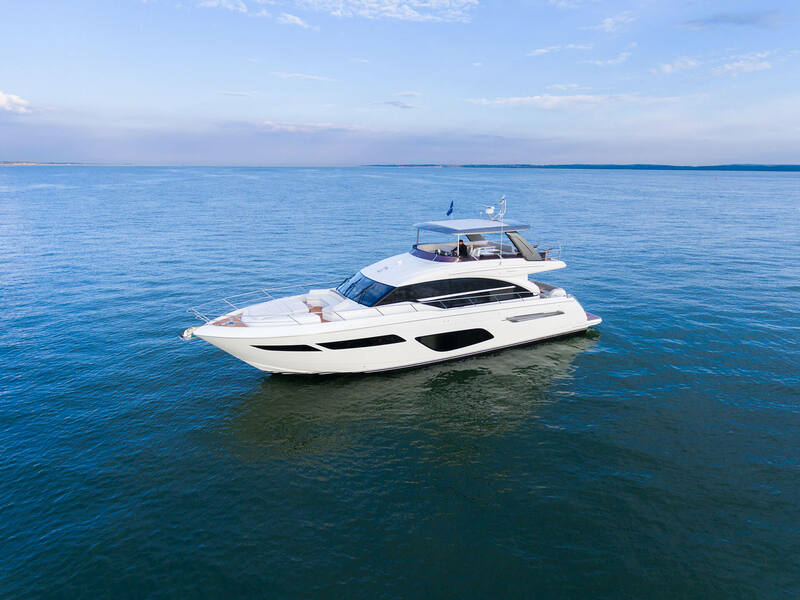 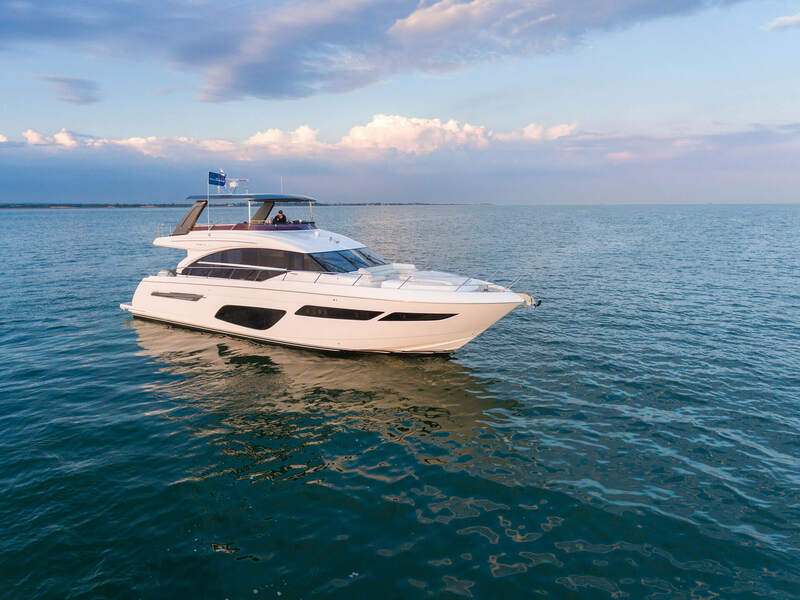 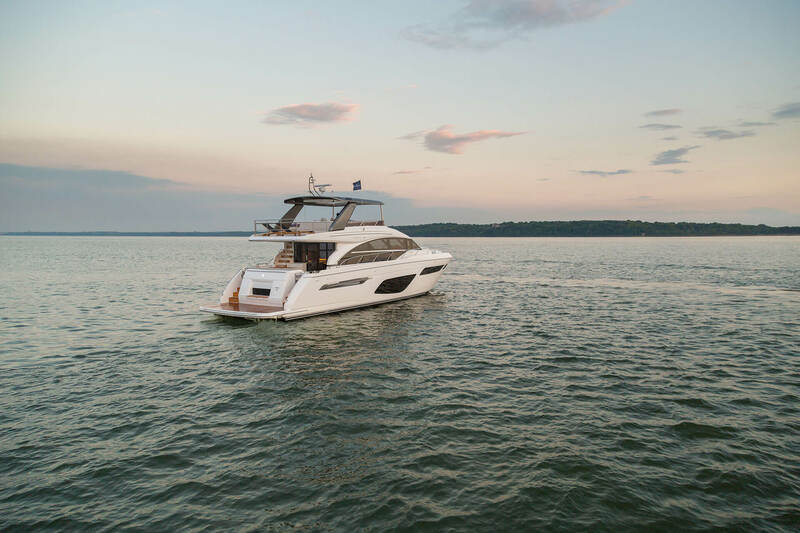 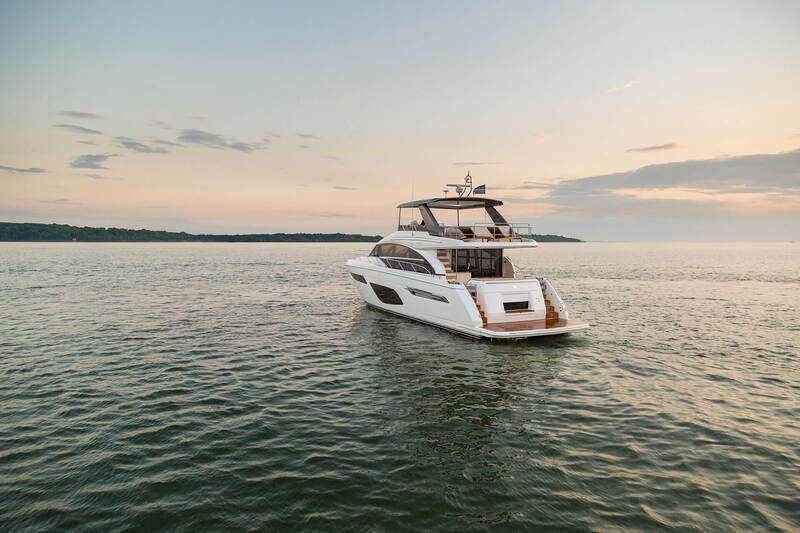 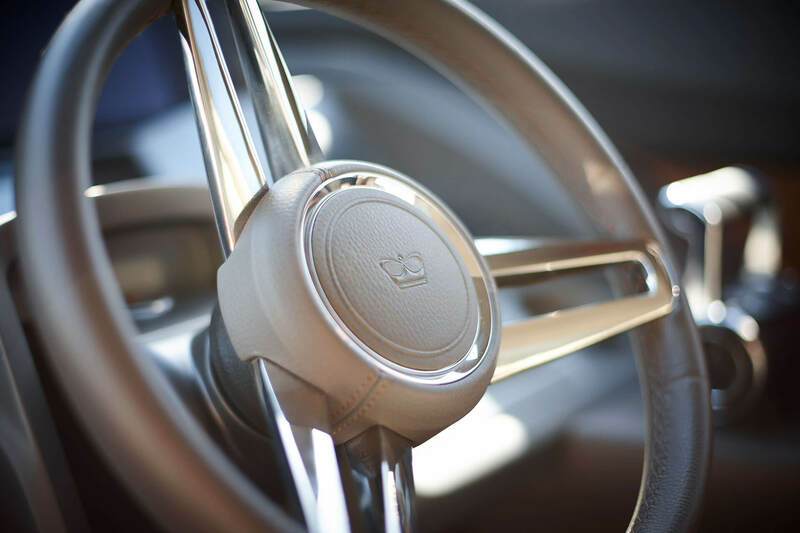 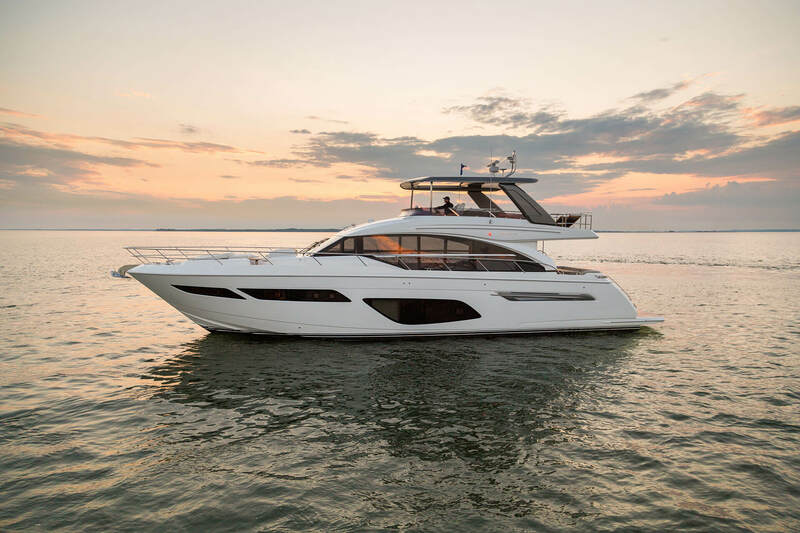 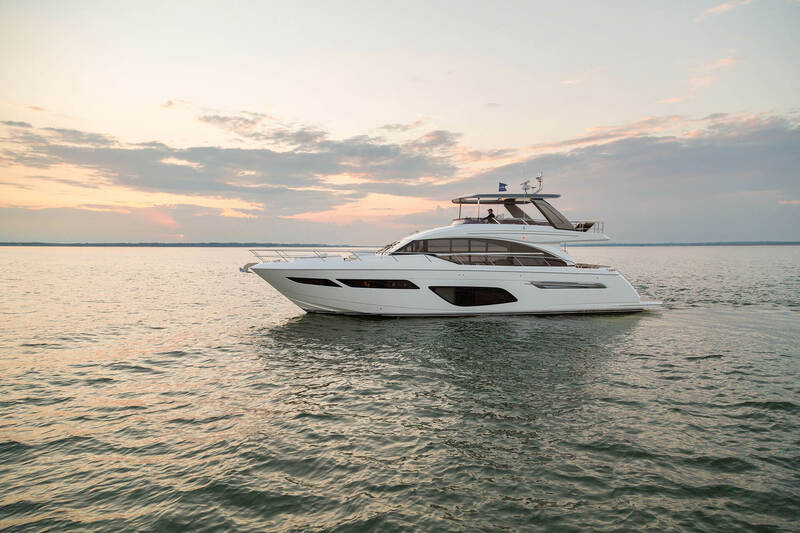 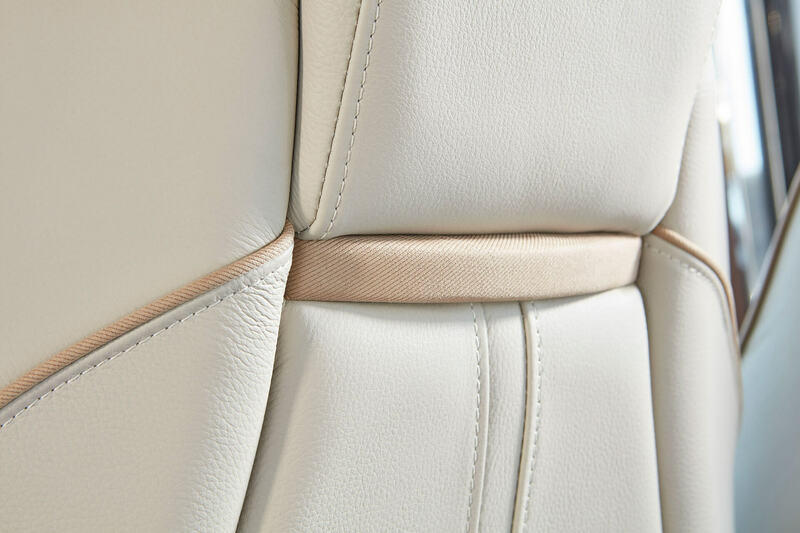 Featuring the very latest in Princess Flybridge design and the new Allure Collection – an optional style pack featuring an array of fixtures, fittings and finishes, the all-new Princess F70 is the flagship of our flybridge range. 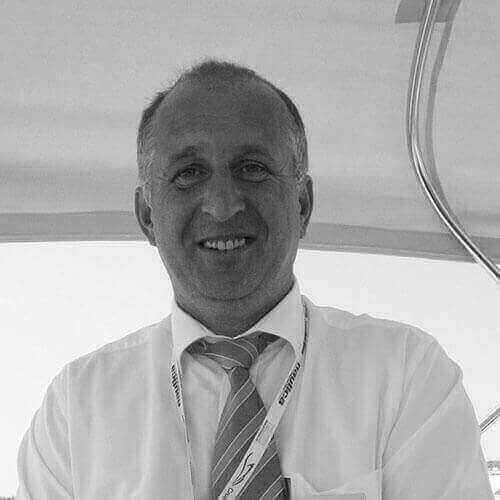 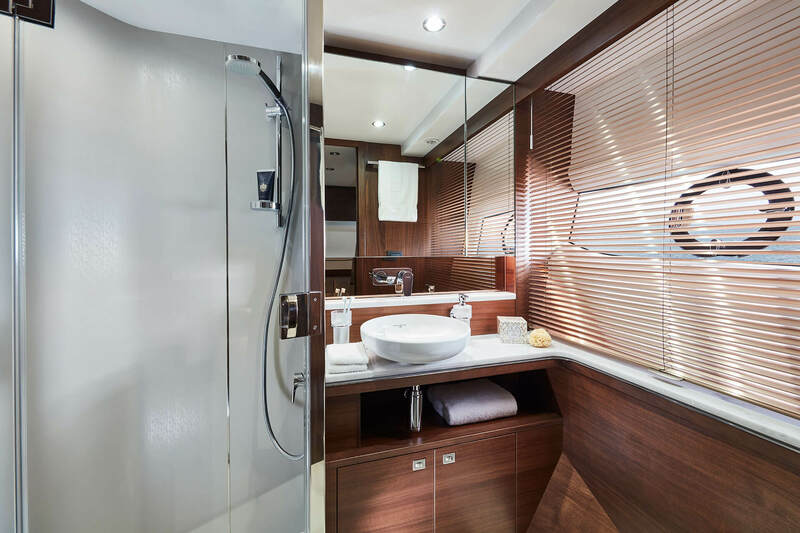 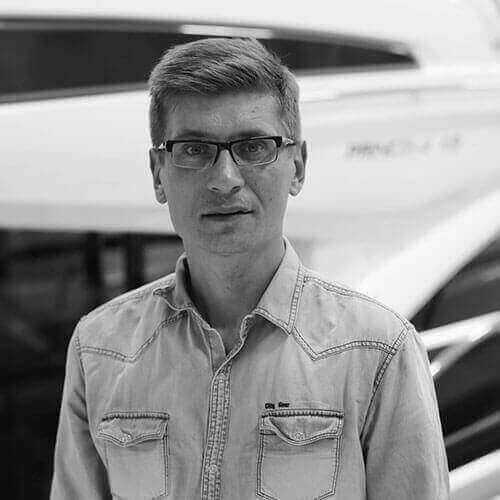 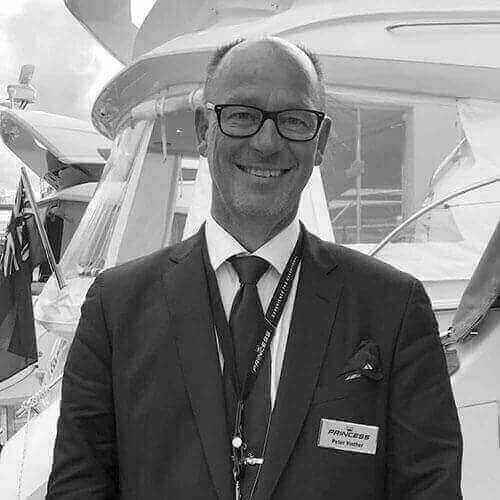 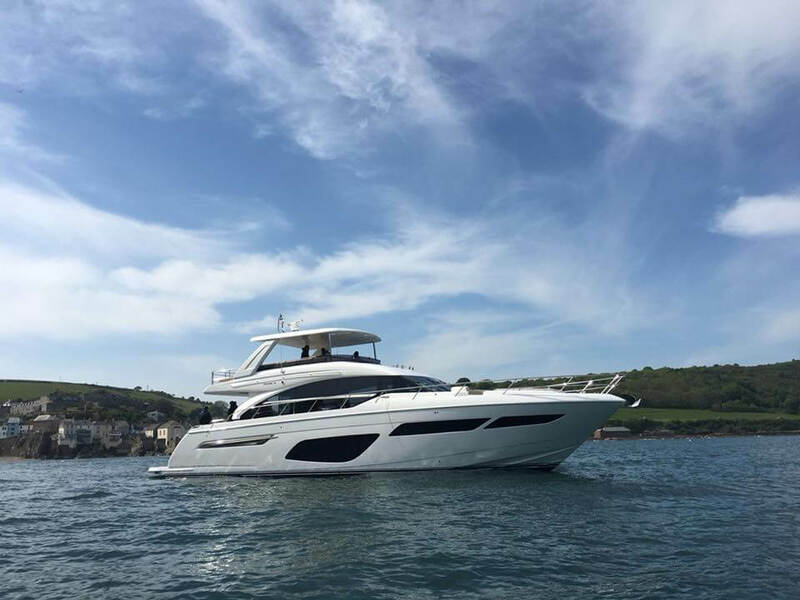 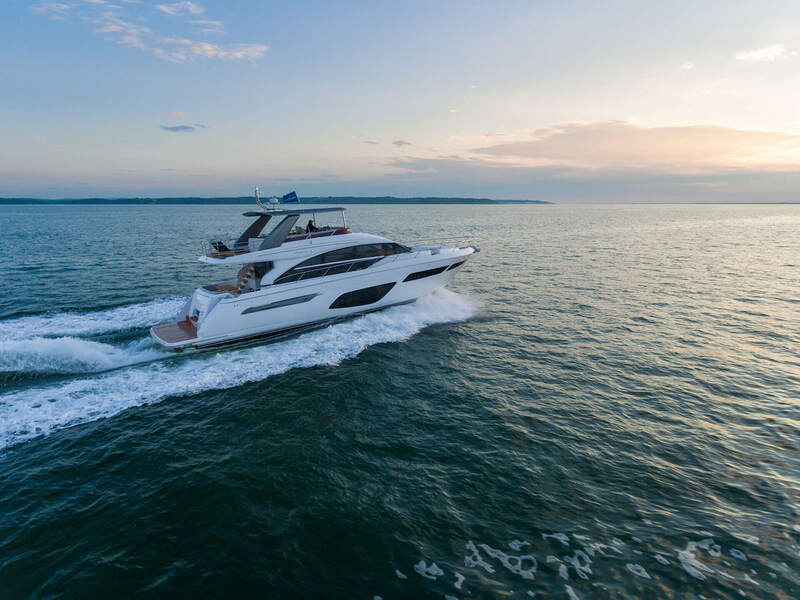 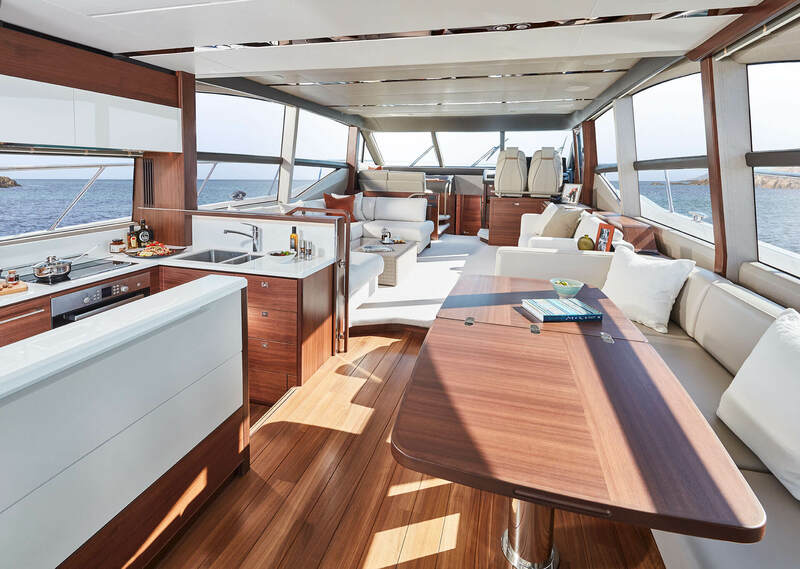 Her generous, 26.58m2 flybridge accommodates a large U-shaped dining area, served by a fully equipped wetbar, aft sunpad and forward seating area adjacent to the helm. 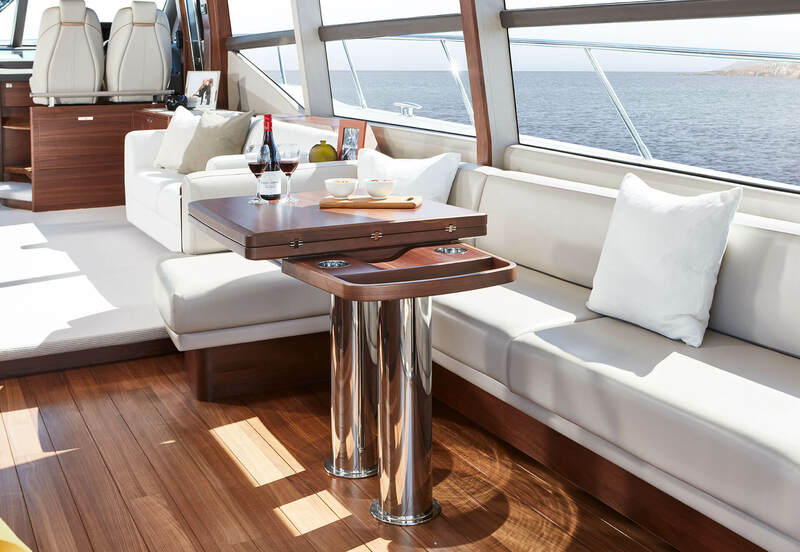 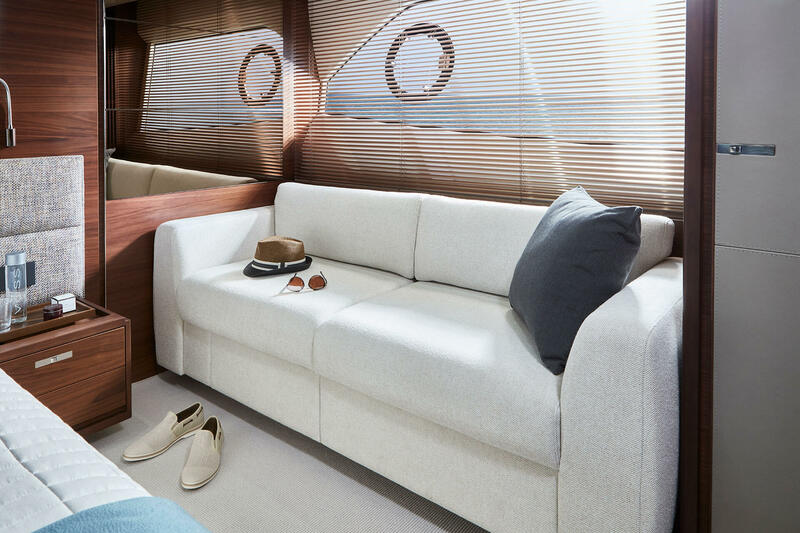 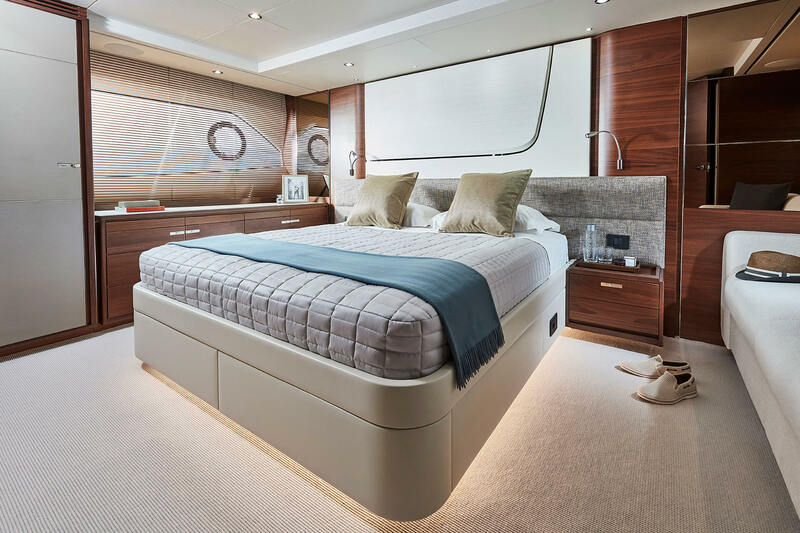 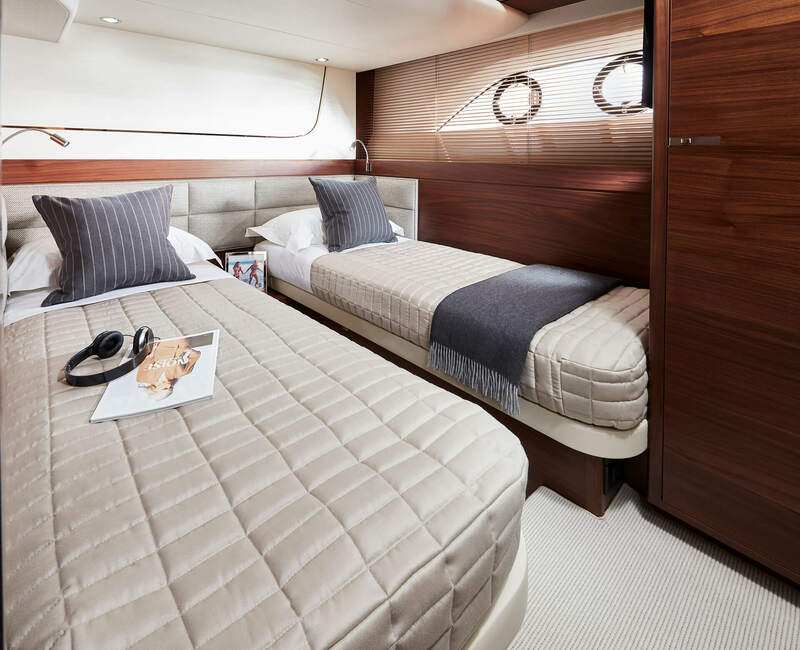 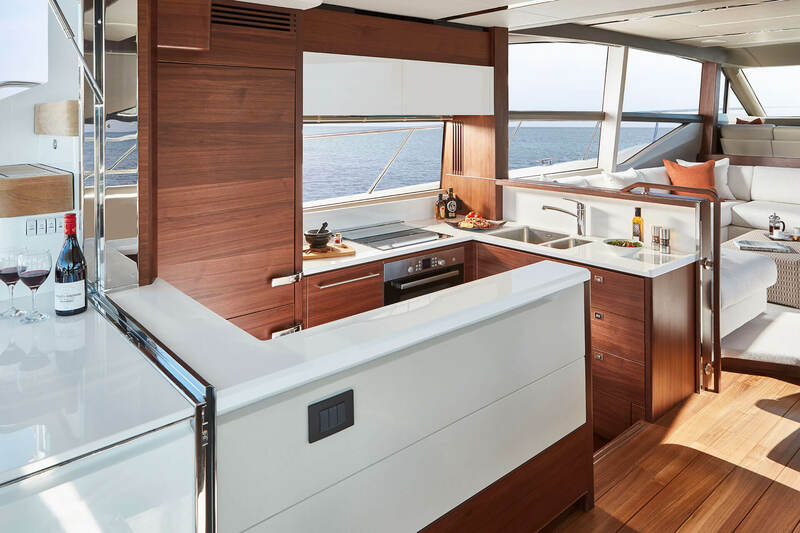 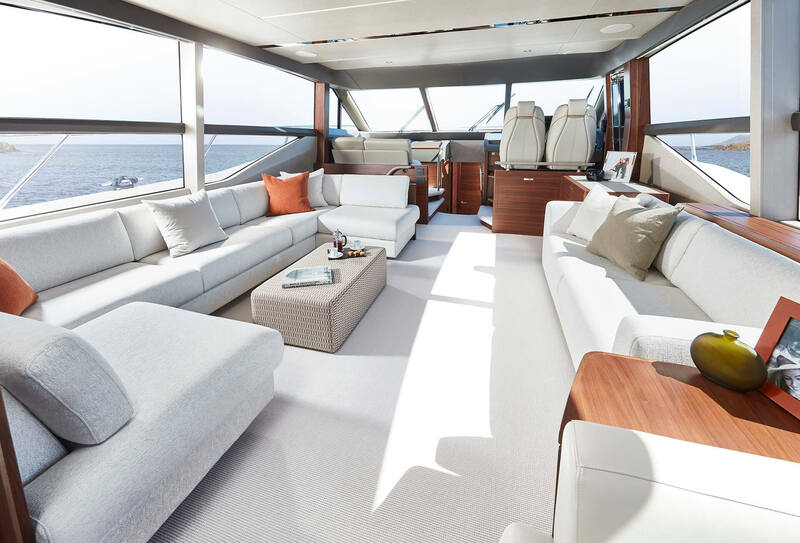 The social layout of her main deck features an aft galley arrangement which opens fully to the cockpit and a walkthrough foredeck area with additional sunbathing and seating areas. 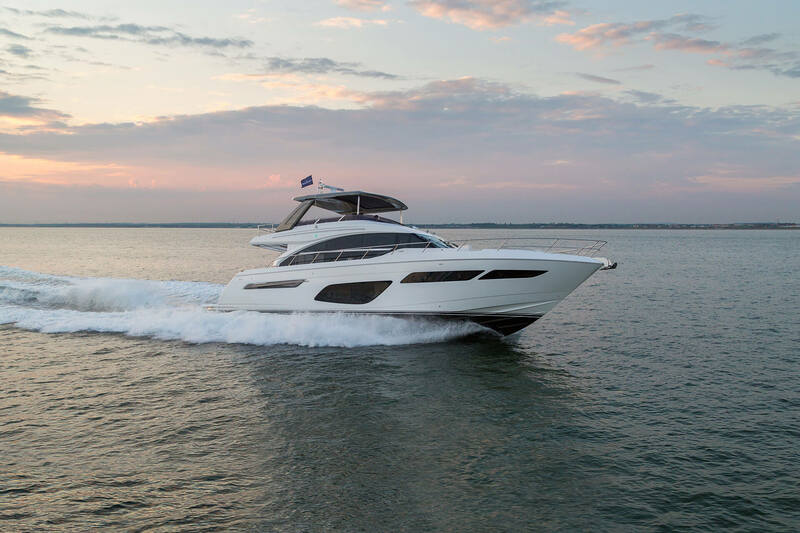 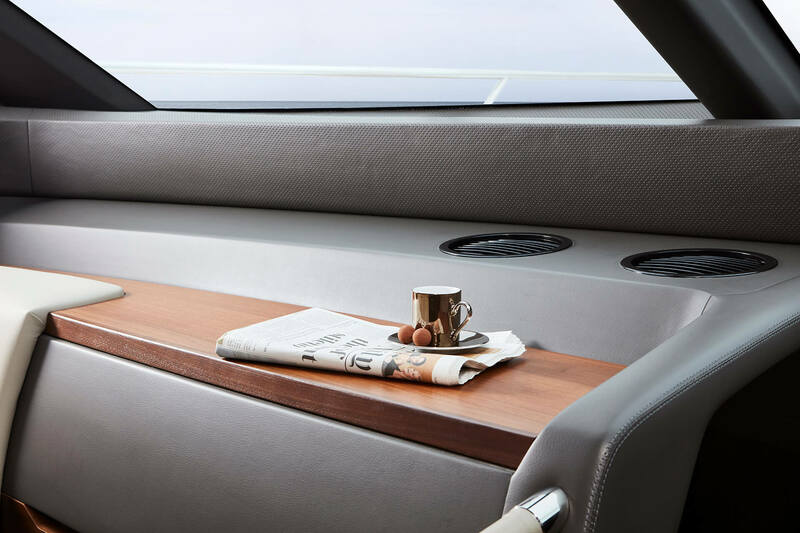 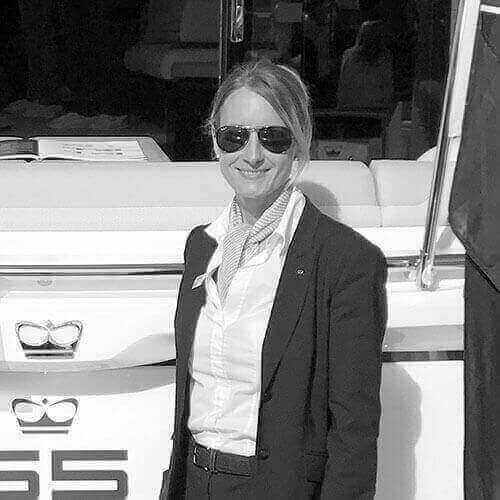 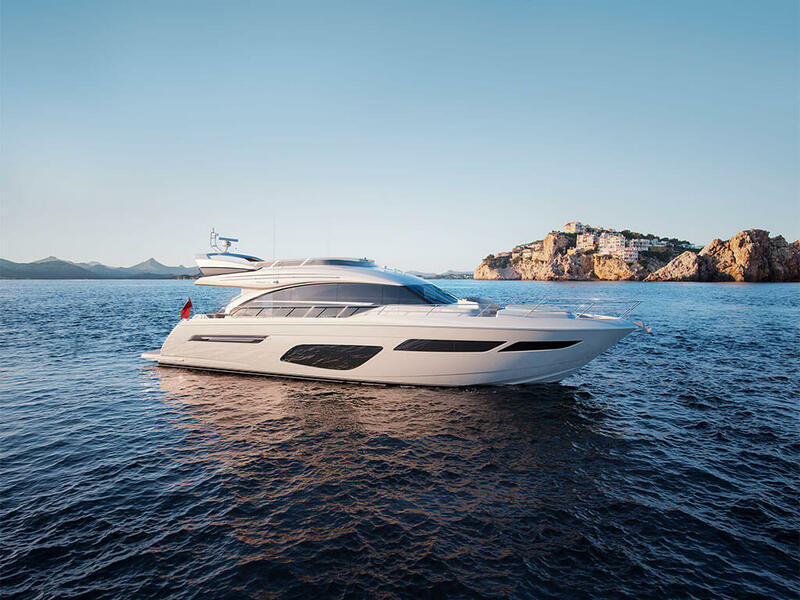 Out at sea, her performance feels light and responsive all the way up to speeds in excess of 36 knots. 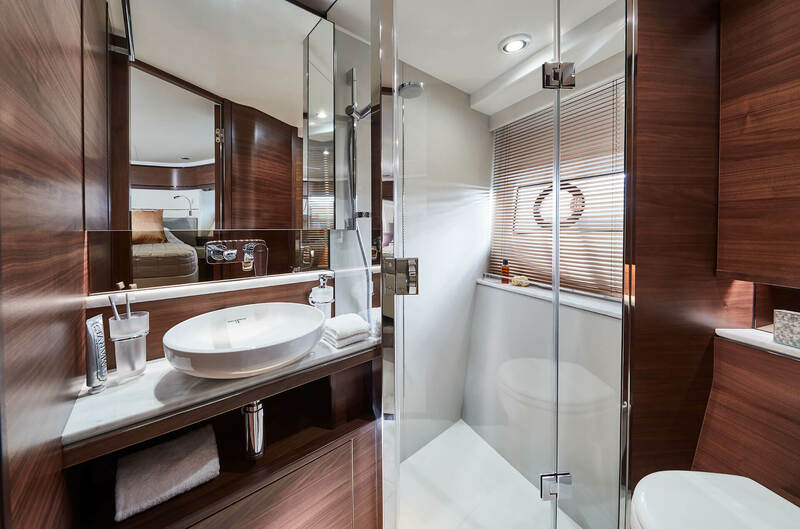 Altogether a distinctively Princess experience.